Anakkaattil Chackochi malayalam movie to be directed by Ranji Panikar will feature super star Suresh Gopi donning the title role. 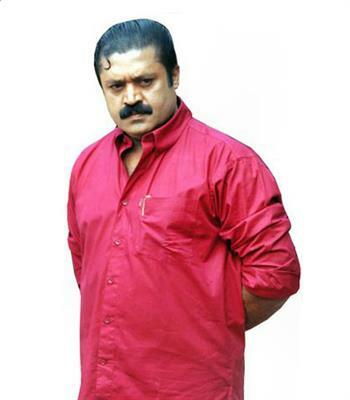 The character played by Suresh Gopi in the movie 'Lelam' as the son of Anakkattile Eapachan kept the audience alive for its majestic dialogues written by Ranji Panikar and directed by Joshiy. After helming Bharath Chandran IPS, Ranji is back in business for his second project which would start rolling soon. Actor Suresh Gopi is not just a representative of the malayalam film industry but a person who has changed the interest of movie lovers. His unique style of presenting each character has given him face and popularity. He stands ahead of time not for his acting brilliance but also for his humanitarian nature. Suresh Gopi is returning to the silver screen after a gap of 1 year with Joshiy's 'Salaam Kashmir'. If reports are to be believed, around 20 projects is under discussion which features Suresh Gopi in lead. After 'Salaam Kashmir', now it's time for Suresh Gopi to helm a majestic role which he has done perfectly few years ago. The character role of Anakkattile Chackochi in the movie 'Lelam' was much enough to prove the mettle of the actor who had thrilled the audience with his energetic changeover. Suresh Gopi who played the role of Chachochi, the son of Anakkattile Eapachan, kept the audience alive with the majestic dialogues written by Ranji Panikar and directed by Joshiy. After helming Bharath Chandran IPS, Ranji is back in business for his second project titled 'Anakkattile Chackochi' which would start rolling soon. Lelam which reached theatres 16 years ago, revolved around the rivalry between two liquor business groups. The movie smashed all box office records and also won well reception from the movie enthusiasts. If Lelam was a cult movie which zoomed into the life of a son who took revenge against who killed his father, Ranji Panikar's 'Anakkattile Chackochi' would pool into some incidents connected with today's politicians and Chackochi. Much interestingly, Suresh Gopi is getting busy with a handful of projects in kitty. His upcoming ventures include that with established directors like K Madhu, Shaji Kailas, Deephan and Thampi Kannanthanam. In the sequel of Rajavinte Makan, Suresh Gopi would don a powerful character. Director Shankar who was much aware about the acting style of the actor has given his a prominent role in his upcoming release 'I'. So get ready for the ultimate show offered by Suresh Gopi.